Like so many, I was deeply affected by Robin Williams’ suicide. I was a big fan of his comedy. In one of his greatest moments of standup, he invented a new psychiatric medicine he called “Fukitol” and forever won my heart. I also loved most of his dramatic performances such as Good Morning Vietnam, The Birdcage, and Good Will Hunting. I knew all along that Robin Williams was one of us. He reveled in outrageous genius that always teetered on madness. He made the world laugh, while he wrestled with depression and battled his addictive demons. Of course, he slipped at times. He took wrong turns and made some bad choices. But he was resilient. He kept self-righting. He sought out help including detox, medications, therapy and mutual support groups. His work and his children were powerful Personal Medicines that undoubtedly helped him bear his pain. I admired him for that. Above all, I could relate. Robin Williams was one of us. 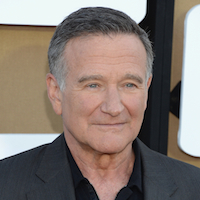 In August we heard that Robin Williams had taken his life. The media glutted itself on endless speculation as to what had happened. Had he fallen off the wagon and lost his sobriety? Had he stopped treatment for his depression? Had a diagnosis of early onset Parkinson’s been the straw that broke the proverbial camel’s back? There were public displays of affection. There were public memorials. Cries went out imploring the public to seek treatment for depression. But my reaction was somewhat different. I felt angry that Robin Williams took his life. And I felt scared that, completely sober and without the numbness of narcotics, he killed himself. He finally said, “Enough” and then checked out. To be honest, I felt threatened by Robin Williams’ decision to take his life. I reflected on that for a long time. Why did I feel threatened by his suicide? Eventually, I realized it was because I could relate to his struggle. Recovery is hard work. Treatment does not cure and is often not totally effective in relieving us of symptoms. Those of us with substance use and/or psychiatric disorders are challenged, each and every day, to make the choice to say “yes”. “Carpe diem”, seize the day, said Robin Williams in the Dead Poets Society. As I reflected on my reaction to Robin Williams’ suicide, I realized those of us making the journey of recovery are connected. [My bold – DC] Without even realizing it, I was depending on Robin Williams keeping his sobriety and recovery, to support my own recovery. When he kept going, it emboldened me to keep going. When he gave up, it opened up the frightening possibility that I, too, could choose to give up. I do not choose to end my struggle, because my life is more than my struggle. I am moving forward in my recovery despite his choice. The lesson I have learned through Robin Williams’ suicide is that we are all connected. I depend on each of you who are living your recovery. You give me the hope and strength to say “yes” to today. We are connected. Even though I may never have met you, I rely on you to stay true to your journey of recovery. I will stay true to my journey of recovery. Together we shall forge a life and fulfill our human potential, despite the pain. This article appeared on Pat Deegan’s blog.